Whether it’s because you’re looking to sell your home, you just don’t want to feel like the slouch of the neighborhood, or you just have some internal sense of pride that motivates you to have a nice living space, giving your home curb appeal is an important part of contributing to the overall value of your home. Here are a few ways you can really increase the appearance of your home’s exterior, and make people driving by do a double take. Nothing can make or break the exterior of a home like the yard, but unfortunately, many people don’t seem to realize this. When you hire a gardener (if you’re going that route) ask to see a portfolio of their work, so you can verify that they’re a creative green-thumb, and not just someone who will come over to mow the lawn and blow leaves around. If you’re maintaining your yard yourself, ask for help, read up on the subject, and visit home improvement stores for guidance and suggestions. Whatever you do, make your yard look good. Keep plants trimmed, watered, and taken care of. Keep your grass consistently green and trimmed. If maintaining a lawn and a garden is too much for you, consider looking into low maintenance landscaping options like a rock garden (popular in California and the Southwest) and locally native plants, which will generally be better adapted to the local soil and climate and require less maintenance. Does your driveway look like a bumpy dirt road to ramshackle clapboard home in the mountains, or does it look like a well-paved highway to successful suburban living? Over time, driveways experience a lot of wear and tear, just as any street would. some character (just make sure the moving truck doesn’t drive over that kind of driveway, because it will break under that kind of load). Find a new place to park the RV or your boat (like in the garage, or at some sort of rented space), because nothing can become an eyesore like unwanted vehicles…unless you’re throwing in a free speedboat with the home purchase. Have someone clean the gutters and the roof, because piles of dead leaves spilling out over the gutters is a key sign of a poorly maintained home with potential moisture-related problems from the backup of water. Make sure your roof, whatever it’s made out of (shingles, tin, slate, heck, even straw) is in tip-top shape, both for visual appeal, and also just to make sure that everything is sound up there, which is something you would want to know anyway. Consider having a power washer come and clean the facade of your home if it has synthetic siding, or brick or stone. If it’s paneled in wood, you’ll want it to be cleaned as well, but then you’ll also want to slap on a fresh coat of paint. Don’t forget to paint the trimmings as well, such as windowsills, and the molding around the doors, and if you’re feeling especially daring, paint them in a contrasting color to give your home’s facade some extra pop. Windows are one of those home features that can depreciate and appear to be old, decreasing the overall pop of your home’s exterior. Consider replacing the windows with newer units, or if you have a historical home, having an expert come and refurbish the original windows or replace them with historically accurate windows. 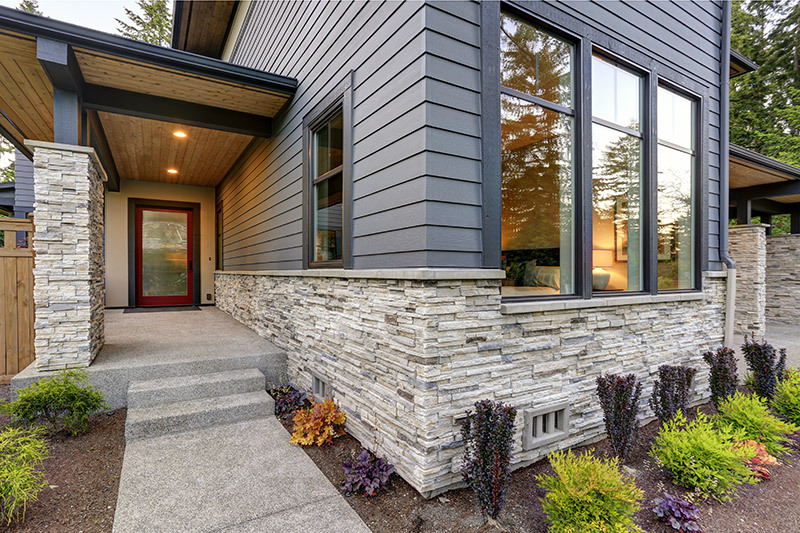 If your home falls into this last category, don’t skimp on making the new windows fit in chronologically with the rest of the house, otherwise your home will lose some of its charm, which is a big part of its curb appeal in the first place. Celebrate the door space with new hardware (knobs and doorbell), a fresh coat of paint, and perhaps some accents like planter boxes or exterior, hanging wall art, because you want the entryway to your home to appear fresh and inviting, not dilapidated and creepy. If your home has a porch, consider putting in new railings or retiling the surface with a more up to date style, which will really help you home lie about its birthday. This is how people approach your home, so it leaves a huge impression on them before they even get to the door. If stones are out of place, creating tripping hazards, it won’t look so good for the value of your home, because it suggests that you don’t care to fix things, even if they pose a potential danger. If plants on either side of the approach are wilted and dying, your home will lose appeal as well. Clean up the approach to your home. Make sure that all stones or bricks are securely in place, because lost elements to the sidewalk only add danger, not character, to your home. Consider running power washer over the walkway as well, to clean it off and give it some extra pop. Make the yard space on either side of the walkway visually appealing, and the space around the door an exciting terminus of the pathway as visitors transition inside, through the use of a small garden around the entryway. You may not care about what the mailbox looks like, but since it’s not something other people see every day, they’ll notice it. Consider upgrading it to something new. Also make sure that the street address of your home is prominently displayed, either on the lawn or on the side of your house, because everyone hates to drive around looking for the home their supposed to be checking out today…although this suggestion is a hit or miss for some people who may prefer privacy. At the same time, you’ll want to toss anything tacky, old, or garbage-like, unless you’re extremely convinced it adds to your home’s character. Toss the pink flamingos and rainbow colored windmills, but do consider adding planter boxes underneath windows, along with shutters on either side of the frames, and maybe an intriguing centerpiece like a small fountain or half-buried jar in the front yard. You never know when a potential buyer might see your home at night, and in general, it’s a good safety practice to make sure your domestic space is well lit. Get lights to illuminate the driveway and the approach to the house, and possibly even to illuminate the house at night, which really makes it stand out from the crowd. Lanterns attached to the wall also make a nice touch, especially when done in a symmetrical arrangement (like on either side of a door). If your home has a more classical appearance, such as a colonial, consider getting gas lamps, whose dancing flames have more character than electric bulbs. Ask around to secure the opinion of an artistic or handy person, and find out what they think about the appearance of your home, and where it could be improved. Not everyone might have good suggestions about this, because tastes come in a wide variety, and when you’re increasing the curb appeal of your home, you’ll want it to engage with more universal design sensibilities, so consider asking someone who has some experience in architecture, landscaping, or interior design for their opinion. 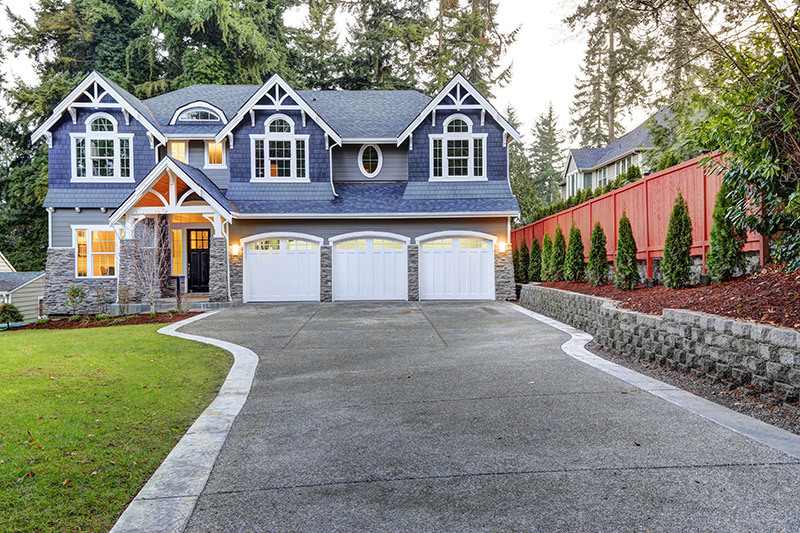 These curb appeal ideas are an excellent resource for your home. However, you can dramatically increase your home’s curb appeal by getting replacement windows, siding and doors. Join over 350,000 delighted homeowners in the Midwest and get a free quote on your windows, siding and doors today.